Can success buy happiness or is love more important? 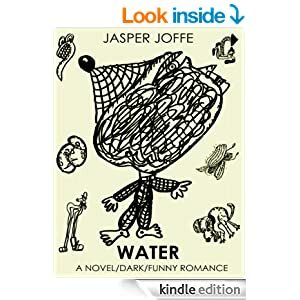 Find out in this quirky funny novel written and illustrated by the acclaimed artist Jasper Joffe. A young artist with a complicated love life and a character you won’t forget once you’ve got to know him. While his career is taking off, his love life descends into an ever-deepening mess. First he proposes marriage to his beautiful Slovak girlfriend, Jelena, with whom he fights constantly. But they split up almost as soon as they’re engaged. He then meets Harriet, Jelena's opposite, and marries her instead. But that’s not the end of it. Both women become pregnant at different stages, he leaves each of them at least once, and deserts both when they most need him. This wryly comic novel reveals the dangers of celebrity, and some complicated problems you'll enjoy seeing Nathaniel Water try to work out.